The planned demolition of the famous eco-friendly Sainsbury’s in Greenwich has sparked outrage. I met with the store’s architect, Paul Hinkin who says the plans must be stopped. Listen to the interview with him below. Campaigners have condemned the planned closure and demolition of one of the first eco-stores in London. The £13 million Sainsbury’s on the Greenwich peninsula was called “the trolley green giant” and hailed “supermarket of the future” when first opened by Jamie Oliver back in 1999. The eco-store set ground breaking new standards for sustainability when it was opened. Innovations include wind turbines, solar panels, a glass roof and six-metre-high mounds of earth, all designed to cut energy consumption. Last week, only 14 years after its opening, Greenwich council’s planning board gave the go-ahead by a majority of five to two for the demolition of the building to make space for a new massive 33,000 sq m IKEA branch at the site. Campaigners have put up an online petition demanding the store be saved. Architectural group The Twentieth Century Society are part of the campaign to save what they call Britain’s “most innovative retail store”, and calls for the store to be listed. 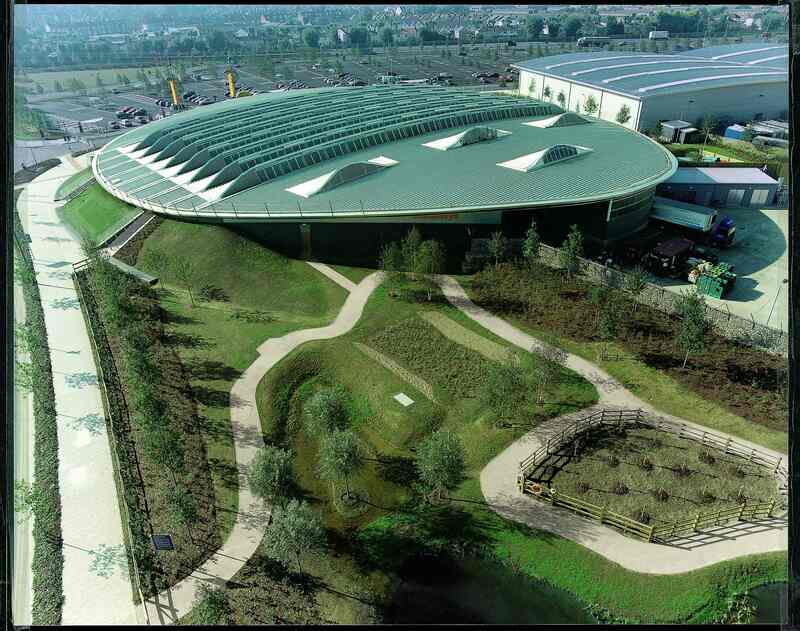 It was the first British building to achieve an Excellent rating from worldwide sustainability assessor BREEAM. It has also won a Royal Institute of British Architects Journal Sustainability award and was nominated for Riba’s Stirling Prize for Architecture in 2000. The architect of the eco-store, Paul Hinkin, said Sainsbury’s are acting “undemocratically”, and that the demolition is an act of vandalism that must be stopped. March 10, 2014 in all articles, environment, news.